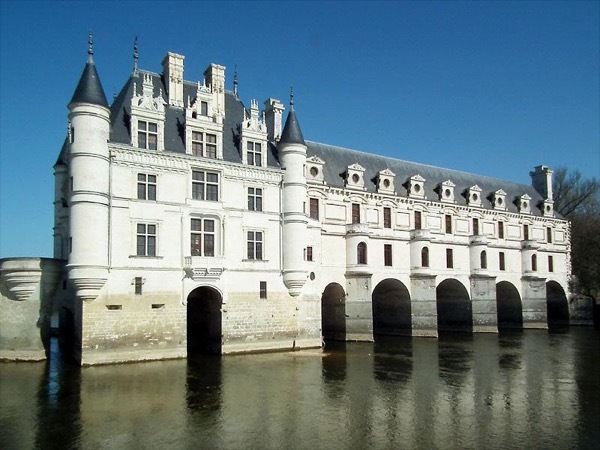 Local Private Tour Guide | Tours, France | Susan W.
We are Australians living in the UNESCO World Heritage Listed Loire Valley. When our families visit us they always want to see things that "the tourists" don't get to see, and this is a philosophy we have carried over into our tours. We are passionate about where we live; the gently rolling countryside, the history, little hamlets tucked away in hidden hollows, the wine and food, and we are proud to show these to our visitors. I do the talking while Simon drives: I'm Australian and lived in Great Britain before settling in France. I worked for many years in one of the world's leading heritage organisations and have a particular interest in textiles and costume. My background is not art history, but collections care and the behind the scenes management of historic sites. In addition I have a qualification in biodiversity surveying, so I am always quick to point out and identify the local wild flora and fauna. I'm also a keen gardener, managing my small orchard like a nature reserve. 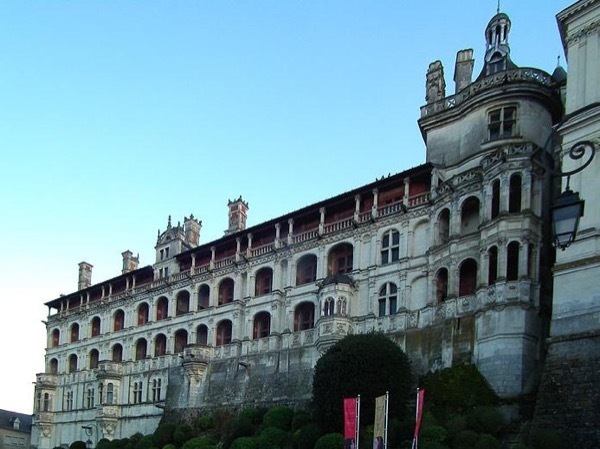 A fine cook, who originally trained as a hotel manager, my other passion is the food and recipes of the Touraine region. Formerly a professional musician and teacher, Simon has travelled extensively over the last 30 years, as a tourist and professionally. A knowledgeable photographer and photo editor he is always looking for a new angle on things. This means he is always ready to stop the car for a photo opportunity - all you have to do is ask. 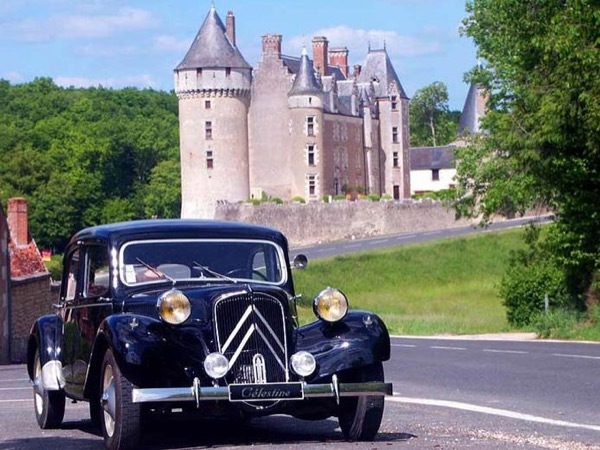 For the tours he drives either Célestine, a 1953 Citroën Traction Avant, or Claudette, a 1956 Traction Avant. He loves just gently motoring Célestine down country roads. He thinks the ideal speed for sightseeing is 80km/h (about 50mph), and in a classic car other motorists are perfectly willing to just let you travel at your own pace. When we stop, the car is an instant ice breaker and it is not uncommon for complete strangers to come up and start conversations. 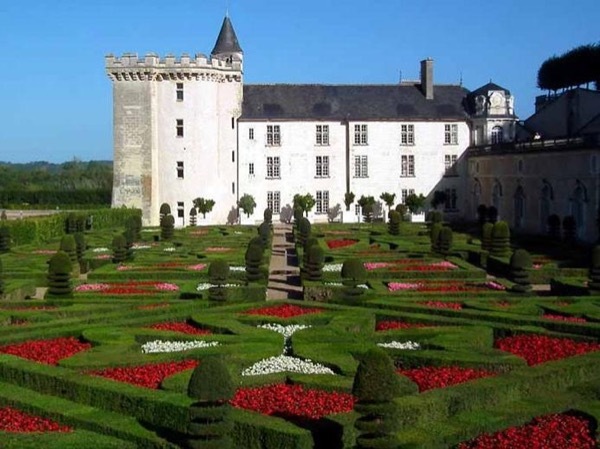 When we aren't on the roads of the Touraine we are restoring an 800 year old house. We have learnt an awful lot about architecture and vernacular buildings over the past couple of years! 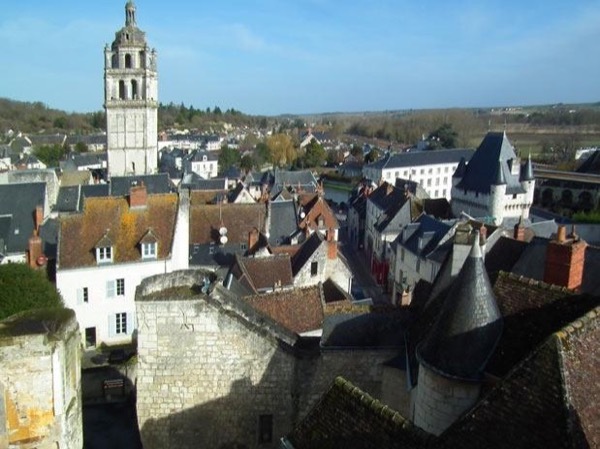 In addition to the tours using the classic cars I am also available for half day walking tours of Loches and the surrounding area. 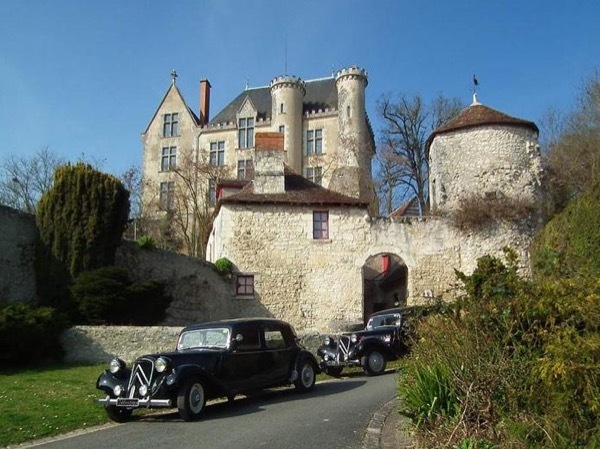 Our Chateau tour, french-workers lunch, wine tasting and Classic car ride could never top the time we spent with Susan and Simon learning about the culture and history of the French. The discussions on local customs while traveling between the historical sites was truly enjoyable. 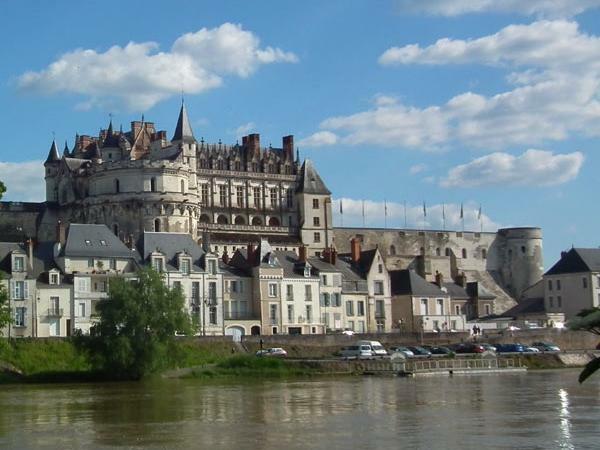 Both Susan and Simon seem to have totally immersed themselves in the history of the region and were exceptional in relaying this knowledge and information to us. 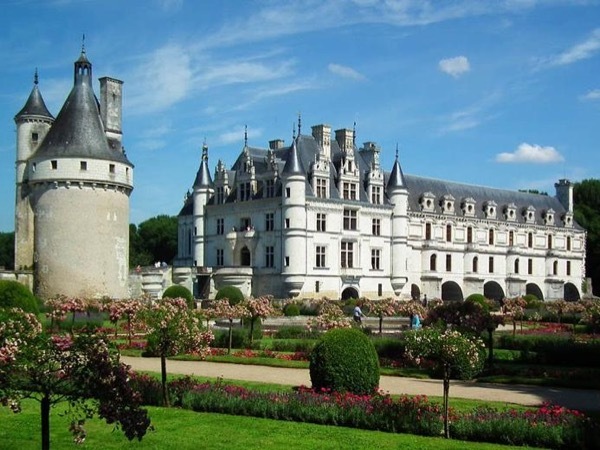 We would highly recommend this tour and these guides. 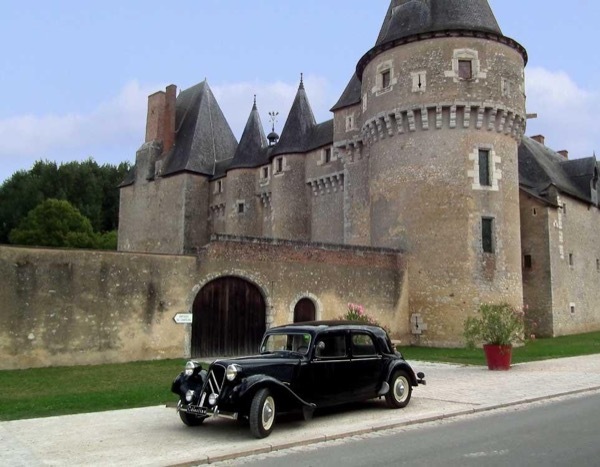 Our classic cars are comfortable for two passengers, but if your group is larger please contact us for a custom tour. We can accommodate larger groups but need to check your requirements and the availability of other drivers first.